A dash of cool instantly updates any jewelry collection, and this three stone ring brings just that with its dark London blue topaz stones. 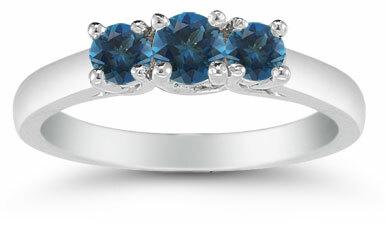 The three lovely gemstones are set close together and make a gorgeous band of blue on this stylish ring. The center London blue topaz stone measures 3.5mm while the two side stones are 3.5mm, giving just the right amount of depth to the ring. The white gold band continues the cool look with its polished, modern flair. Also available in 14K Yellow Gold (shown below), or Platinum by request. 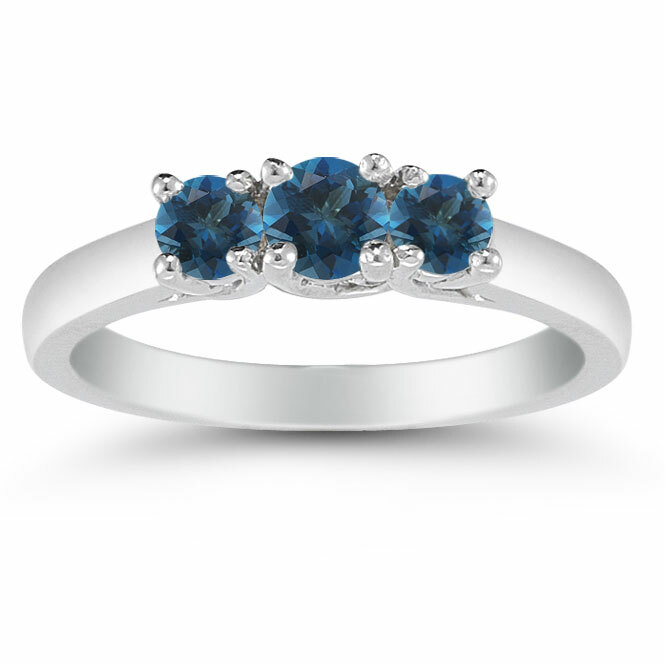 We guarantee our Three Stone London Blue Topaz Ring, 14K White Gold to be high quality, authentic jewelry, as described above.